The total number of cumulative confirmed cases of Ebola in Sierra Leone recorded on the 9th October, stood at 2604 (an increase of 100 compared to the reported increase of 88 two days ago). 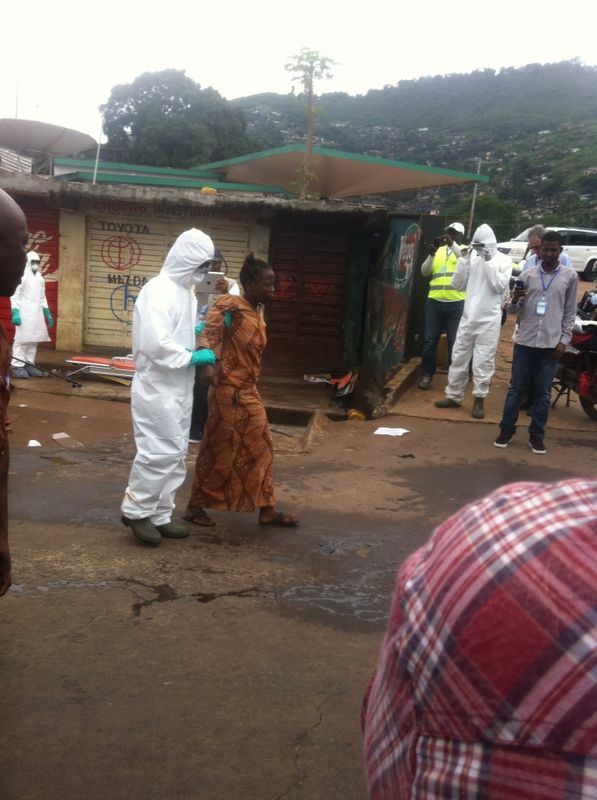 Freetown is now topping all districts and has become the new epicentre of the virus, with a total of 577 cases. The 100 newly confirmed nationwide cases, included 93 on the 8 October and 7 on 9 October respectively. But it is the number of new cases reported on the 8th October that accounts for the huge jump in the numbers in the last forty-eight hours, with: Kailahun 1, Kenema 0, Kono 1 (first new case since the 2 recorded on 30th September), Bombali 25 (up 11 after a drop of 24 forty-eight hours ago). What accounts for this huge rise? 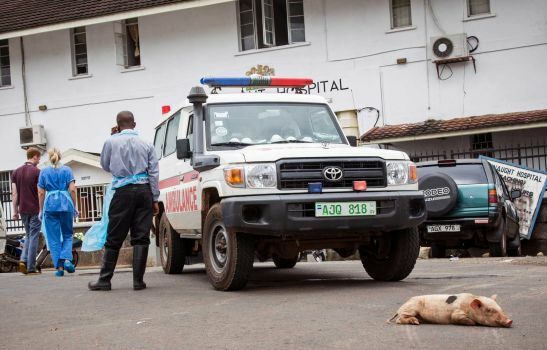 Kambia reports 1 new case, Koinadugu 0 (still no cases of ebola recorded), Port Loko recorded another 2 new cases after dropping 6 two days ago, Tonkolili 14 new cases – from 0 two days ago. Freetown, the new Ebola epicentre recorded the highest number of cases in the country on the 8th of October, with a high of 47 – up 29 in two days. Bo 1 (down 4 in two days), Moyamba 1 new case recorded (after dropping 5 two days ago), Pujehun 0, and Bonthe 0. The total number of 2604 cumulative confirmed cases on the 9th October, compared to 2504 two days ago (an increase of 100), also tell its own sad and worrying story, as we take a look at what is happening across the districts. Kailahun now has 533 cumulative confirmed cases (another slight increase of 1), Kenema 431 (no increase in three days), Kono 26 (an increase of 1), Bombali 333 (an increase of 92 in three days), Kambia 22 (an increase of 1 after no recorded increase two days ago). Koinadugu continues to blaze the trail with 0 cases, Port Loko 350 (an increase of 2 compared to the increase of 45 recorded three days ago), Tonkolili 114 (an increase of 28 in three days), Bo 118 (an increase of 1 compared to the increase of 11 recorded three days ago). Bonthe 1, Moyamba 69 (an increase of 3 in three days), Pujehun 24 (no increase recorded since that increase of two three days ago). Freetown now has the highest number of cumulative confirmed cases of Ebola, with a new high of 575 compared to 490 three days ago (an increase of 161 reported in four days). The total number of cumulative confirmed deaths stood at 713 on the 9th October (an increase of 138 in three days); with 543 patients having survived (an increase of 66 in three days). The total number of probable cases stood at 37 on the 9th October (no change in over a week); probable deaths 142 (no change after an increase of 19 three days ago); suspected cases 320 (an increase of 41 in three days); and the total number of suspected deaths reported on the 9th October stood at 35 – no change in three days. The ministry of health has just released its update for the 10th October, which shows a slight increase of 53 new cases across the country, from 2604 on the 9th October to 2657 on the 10th October. Freetown is once again, leading the way with 599 cumulative cases, an increase of 24 in twenty-four hours, compared to the daily average of 40 new cases that have been recorded in the last four days. Kailahun – the previous Ebola epicentre where it is alleged to have started is showing no increase on the 533 cumulative cases recorded on the 9th October. Kenema is also showing no increase with 431 cases of Ebola; Kono 29 – a rise of 3 from 26 twenty-four hours ago; Bombali 347 – a drop of 14 in one day; Kambia 22 – no change. Koinadugu 0; Port Loko 363 – a fall of 13 in twenty-four hours; Tonkolili 115 – a drop of 1; Bo 121 – an increase of 3; Bonthe 1 – no increase; Moyamba 72 – an increase of 3; Pujehun 24 – no increase in twenty-four hours. The total number of confirmed cumulative deaths now stands at 853 compared to 713 in twenty-four hours, a massive increase of 140. This is the highest number of recorded deaths in one day in a long while, and raise serious questions as to the efficacy of the treatment regimes that are in place, as well as the accuracy and reliability of the number of reported cases by the government. 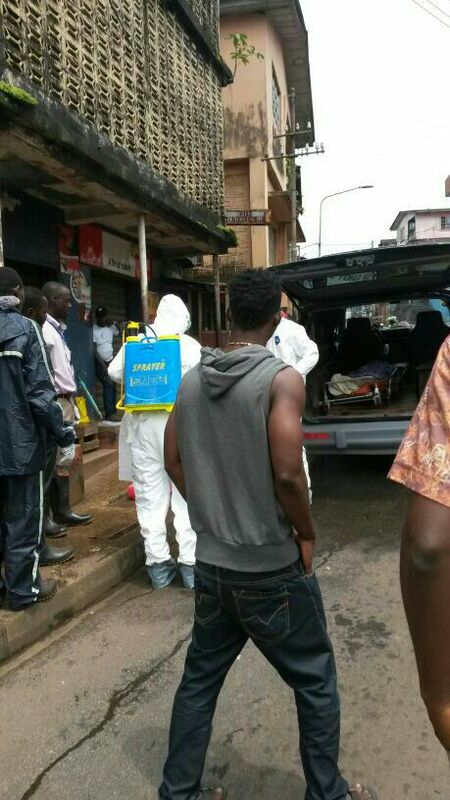 For this reason, the Sierra Leone Telegraph is calling for transparency and openness, in the reporting of the number of deaths and where they occur. This should be shown for each of the districts. According to the ministry of health the total number of probable cases remains at 37, whilst the number of probable deaths has gone up in twenty-four hours by a massive 91. But no one is clear about the causes of death, which is all the more worrying. The total number of suspected cases went up by 2, whilst the number of suspected deaths rose by 62 in one day, once again prompting serious questions about the post-mortem testing regime that is in place. 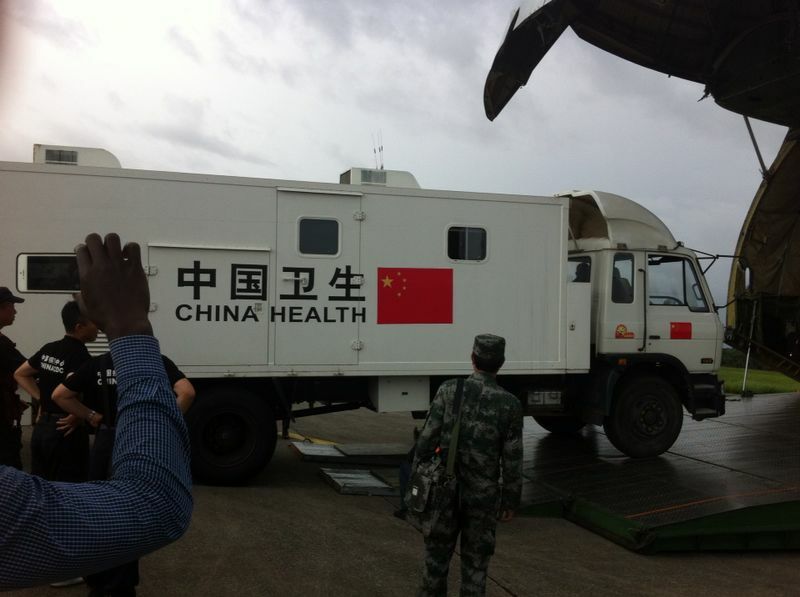 And as long as these doubts continue – with respect to suspected and probable figures, which themselves are highly significant in accounting for Ebola, confidence and trust in the ministry of health will remain low. 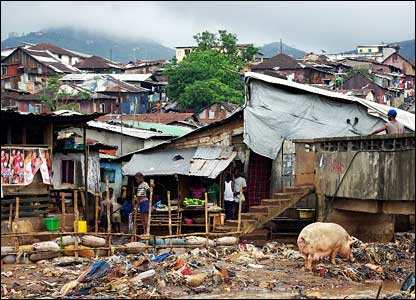 With Freetown now the epicentre of Ebola, there are fears several communities especially in the densely populated, poverty stricken shanty suburbs, hundreds of thousands are now seriously at risk of not only becoming infected, but transmitting the virus across the capital city. The population of 2.5 million people in Freetown are now sitting on Ebola’s battleground. And it is not inconceivable to see one-third of the population of Freetown, consumed by Ebola, if more urgent steps are not taken to compartmentalise the entire capital into zones. Each newly defined zone must be allocated a new local Ebola command structure, with dedicated Ebola case testing and holding centre. Local school buildings must now be converted to these centres. And if necessary, respective zones could be quarantined as and if necessary, by the WHO.